Cut down the time it takes to discover trackables after an event or day of caching. If you've ever gone to a geocaching event and written down a long list of geocoin tracking numbers to discover at home, you've probably wished there was a faster way to log them. Geocoin Logger Assistant is designed to help. This program will read in a list of tracking numbers and output a web page with links to the GC page for each trackable. And don't let the name fool you; it works for geocoins, TB dog tags, and other trackable items. Click on a thumbnail below to view full sized screen shots of the registered program after a completed run. To view a sample HTML output from a run, click here. 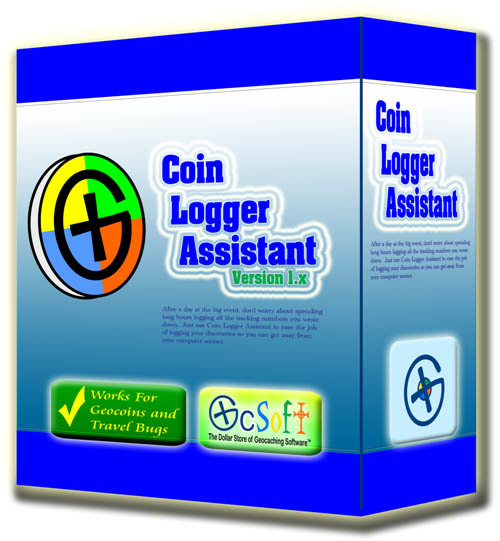 The lite version of Geocoin Logger Assistant is available for free. This program is available as part of a software package. If you have an old version of the program, you can purchase an upgrade licence for only $0.89.